Coincidentally, the requests came simultaneously. In the late 1960s and early 1970s, a cluster of students periodically crowded into the office of Robert Boyer (English, Emeritus) to see if he’d teach a class on fantasy literature. During the same period, another handful of students was lobbying Ken Zahorski (English, Emeritus) to create a class on science-fiction literature. The requests caught both men by surprise. Back then, fantasy and science fiction were considered lesser genres by the world of academia. Not fit for serious study. A bit silly, even. But whenever students are enthusiastic about a subject, that’s quite exciting for a professor. So the two were intrigued. Colleagues but also friends, their offices right next to one another, the men eventually discovered that students were asking each of them to create a new class. A new class that was related to the other. The more they noodled over the development, the more they thought it would be fun (and interesting and educational) if they team-taught one class covering both genres. Back in the 1970s, team-teaching at the college level was a novel concept. But it was also a time of great academic experimentation. When the duo approached the St. Norbert administration with the idea, they were elated to get the green light. During the period from conception to offering, Boyer and Zahorski were hard at work. There was virtually no other college or university teaching such a class, so the men had to start from scratch. They began researching and studying a variety of books within the two genres to assemble a quality selection for students to read and study – probably about eight would be good, they thought. J.R.R. Tolkien’s “The Hobbit” was a given, as was “The Last Unicorn” by Peter S. Beagle, but what else? Perhaps “The Time Machine” by H. G. Wells, or maybe his famous “The War of the Worlds.” Or possibly Aldous Huxley’s “Brave New World.” The men also discussed how, exactly, to conduct their team-teaching. They’d heard some instructors divided a course, with one teaching the first half and the other the second. But they didn’t like that idea. No, they wanted to be in the classroom together. To interact with one another, to create a dynamic learning environment. When St. Norbert’s inaugural Science Fiction & Fantasy class finally debuted in the 1972-73 academic year, it was a hit. 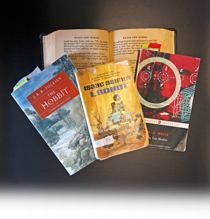 Students loved the topics, both of which were undergoing a groundswell of interest at the time, in large part due to the popularity of “The Hobbit.” They also gravitated toward the two professors’ congenial and comic interactions with one another. Many students knew Boyer was a fan of Chaucer, while Zahorski favored Shakespeare. So whichever instructor held the floor would always try to work in a disparaging remark about the other’s favorite author. “The students would just wait for those lines,” chuckles Zahorski. During the next few years, as the pair became pioneers in helping bring academic respectability to the two genres, they began publishing fantasy literature anthologies, as there were none around at the time for use in the classroom. One student who helped them with three of their anthologies was John Pennington ’80, now himself a member of the English faculty. Interestingly, Pennington himself never took the Boyer/Zahorski class. But, some 15 years later, he would become the course’s instructor when Boyer and Zahorski retired. The two instructors look back with fondness and pride on the 29 years they team-taught Science Fiction & Fantasy. And who wouldn’t? It was one of the longest team-teaching tenures on record. Each instructor taught some 1,000 students alongside a cherished friend and esteemed colleague. (“As Ken is fond to say, we never had a major disagreement,” says Boyer. “We just had a lot of fun.”) By doing such trendsetting work, they both were able to interact with famous writers – Boyer met J.R.R. Tolkien, Zahorski spent time with Peter Beagle. They ended up publishing six anthologies of fantasy literature, one anthology containing critical essays on fantasy literature and two book-length reference works on fantasy authors. And they were instrumental in helping the science-fiction and fantasy genres gain more academic credibility. After both men retired, there was a one-year gap (2005-06) when the course was not offered. Then Pennington stepped in: a development Boyer says was exceptional. “[Having the class move] into the new generation is maybe the most significant dimension of the experience,” he says. Still, it’s hard not to get excited at the overall advancement in the two genres. In 2014, the National Book Foundation honored science-fiction and fantasy writer Ursula Le Guin by bestowing upon her its Medal for Distinguished Contribution to American Letters, which recognizes individuals who have made an exceptional impact on America’s literary heritage. It was the first time science-fiction and fantasy literature has been thus acknowledged. And it may be thanks, at least in part, to the innovative work begun in 1972 by St. Norbert’s own Bob Boyer and Ken Zahorski. Just as Boyer and Zahorski influenced Pennington’s studies and career through their fantasy anthologies, Pennington is now able to offer students a similar opportunity through his editorship of North Wind: A Journal of George MacDonald Studies. MacDonald was a Victorian-era author and poet (and Christian minister) and a mentor of Lewis Carroll. Considered a pioneer in fantasy literature, he is the subject of several of Pennington’s own scholarly publications. 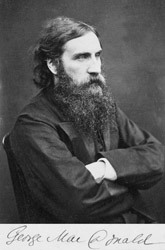 Through Pennington’s connections with the George MacDonald Society, he was asked in 2006 to edit North Wind, a peer-reviewed journal (he accepted), and also if St. Norbert would agree to archive the journals (SNC did). Today the influential publication has a new design and cover – the latter courtesy of Brian Pirman (Art) – and all of the issues are digitized at www.snc.edu/northwind. The journal will be among the first content uploaded to St. Norbert’s new digital commons, planned for launch later this year. Gretchen Panzer ’12 worked with Pennington on the journal for three of her undergraduate years. She went on to graduate school and now is hoping to snag a job in academic publishing, thanks to her North Wind experience. Panzer says one of the most intriguing aspects about the study of science fiction and fantasy is seeing what societies the authors decide to create, the issues they decide to grapple with, and how that can help us understand our own world and what could be. When Bob Boyer and Ken Zahorski began teaching fantasy and science fiction in the 1970s, there was no clear definition for either genre. So they came up with their own explanation, dubbing it “clarification through juxtaposition.” “We thought that was such a clever phrase at the time,” laughs Zahorski. Today there’s still an active debate over how to define fantasy and science fiction. And the Boyer/Zahorski categorizations, summarized below, remain popular. Both fantasy and science fiction are speculative genres, dealing with future or “other” worlds. Here’s where they differ. Fantasy: Often offers no explanation for its world; its world is a given. Or explains its world via magic or the supernatural. Examples include fairy tales and myths (“high fantasy”) and gothic and satiric pieces (“low fantasy”). Science fiction: More practical and relevant stories than fantasy; explains using plausible or seemingly plausible science or pseudo-science, based in the future. More likely to examine larger good-vs.-evil issues. Typically more pessimistic than fantasy. Focal points are often space and time voyages, future predictions, remarkable inventions, social science fiction, inner space exploration, and ultimate meaning. Bob Boyer, John Pennington and Ken Zahorski think alike when it comes to rating books. 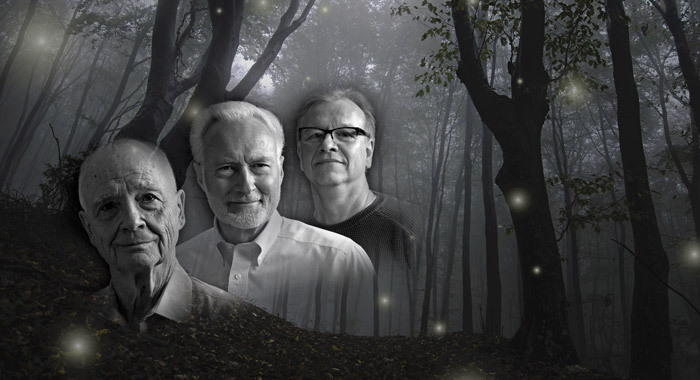 All three say their favorite science-fiction and fantasy titles vary by the day. However, if pressed to name names, all three declare “The Hobbit” tops for fantasy. Here are their sci-fi picks.